Roller burnishing processing is a process of finishing and strengthening the surface of mechanical parts. The burnishing tool rolls relative to the surface of the workpiece, exerting certain pressure to produce plastic deformation on the surface of the metal, modifying the surface hardness, abrasion resistance and fatigue strength of the workpiece surface. The surface roughness value of the workpiece that is rolled and processed can reach Ra = 0.8 ~ 0.4mm in an instant. After hardening, its wear resistance was improved and fatigue strength increased by 30%. The use of burnishing tools has advantages that are not available in machining. Because of its simple operation, it can carry out ultra-precision machining of parts at low cost. 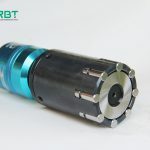 Therefore, the automobile industry led by the precision machinery, chemical and household appliances and other industries widely adopted, roller burnishing tool played a big advantage. Manufacturing accuracy of roller burnishing tool. The higher the manufacturing precision of roller, the better the quality of the workpiece after rolling. The surface roughness value of the roller is generally required under Ra = 0.4. In addition, the precision of tools and parts is also very important. The amount of feed is too large, the surface roughness of the workpiece is high. The amount of feed is too small, the surface of the workpiece is prone to fatigue crack due to repeated rolling pressure, which also reduces the rolling quality. (3) The speed of rolling pressure. In the normal use of machine tools and rolling tools, the rolling speed can be used in high rolling speed to improve the rolling quality and productivity. The rolling speed is 80 ~ 150m/min. (4) cleanliness of the workpiece before rolling pressure! Before rolling, remove grease, sundries and corrosion marks on the parts, so as not to affect the quality after rolling. 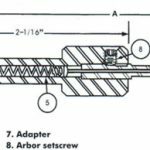 ← How to replace the wear parts of the roller burnishing tool?